When Anthony Hamilton left his old Charlotte R&B quartet in the early 1990s to head up to New York City and eventually become a star, one of his hometown singing partners, Eliah Keaton, took a different path. Keaton joined the military, went to college and became an account executive for a large bill payment firm. In 2014, five albums and a Grammy into Hamilton's career, Keaton, at 40, finally emerged with his own debut, Eliah. It was a set of adult-contemporary R&B in the Will Downing or Carl Thomas vein. Night and Day album cover. On Friday, December 22, Keaton, who turns 44 this week and performs and records under his first name only, will finally unveil his follow-up LP, Night and Day, during an album-release party at Loft & Cellar. 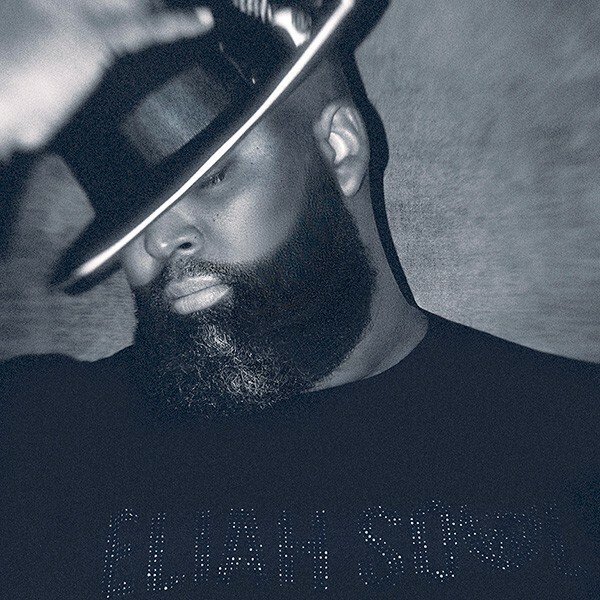 The show starts at 10 p.m.
Born in Brooklyn, New York, and raised from 12 on in Charlotte, Eliah began singing in church and later joined the choir at Garinger High School, where he befriended another Charlotte musician made good, R&B singer Sunshine Anderson. "She and I were voted Most Likely to Succeed, male and female," Eliah remembers. "She's a real sweetheart." Creative Loafing recently caught up with Eliah to find out what took him so damn long to begin charting his own musical journey. Creative Loafing: Did Anthony Hamilton's continued success motivate you to get back into music? Eliah: Yes, and I'm very proud of what Anthony's done. He's also given me some of the best advice I've ever gotten. Before my first record came out, I was scared, you know, and he said, "Don't worry about what people think. I'm living proof that you can do it, because at first nobody wanted to give me a chance." Then every time we would see each other after that, he'd be like, "Hey man, are you still singing? You gotta do it! It's never too late." When the first record finally came out, he just said, "It's about time!" [laughs] He once told my kids, "Your daddy's a bad dude." And they were like, "You know Anthony Hamilton?" That impressed them. You grew up in a church-going family — is that where you began singing? I was very much involved with my family and church in Brooklyn. I'm related to Albert Jamison, who was over the GMWAC, the Gospel Music Workshop of America, and he knew all these big-name gospel artists: Hezekiah Walker, James Cleveland — they always came to our church. So I was exposed to a lot of great musicians there and had more access to instruments than your average kid. Why did your family move to Charlotte? My mother was a single parent and I was an only child, and she thought it'd be better for us to move down here to kind of keep me out of trouble and give me more male representation in my life. I had an uncle who lived here, and he said, "Come to Charlotte, the schools are good." At the time, Charlotte was a very progressive, up-and-coming city with lots of job opportunities for my mother. When did you realize you wanted to sing secular music? I sang in the chorus at Garinger. That's where Sunshine Anderson and I met. We were in honors choir together, and we sang classical music — Bach, Handel — and competed in competitions. A lady by the name of Mrs. Kinsey was our teacher, and she would spend time with us after school, teaching us how to read music to further our gift. She was very instrumental. She helped me find my own voice. I knew what I liked to listen to and what I wanted to sound like at a very early age. She just helped to kind of mold that. And what did you like to listen to? Teddy Riley, Stevie Wonder, all the great gospel singers. I'm an old soul. I like everything from Otis Redding, Donny Hathaway, Marvin Gaye, Ray Charles — Motown, Stax, all that — but I also liked blues and old country music. I was the first child on both sides of my family; I didn't have any cousins until I was about 10, so a lot of times I was in the company of adults and didn't listen to what kids my age were listening to. Also, I loved the beauty of classical music, jazz, Frank Sinatra. People think Sinatra has such a mellow voice, but his material is very difficult to sing. There's a lot of nuance in it, a lot of breath control. It's a grace that takes years to master. I'm just a fan of great music and melodies. Yet you came of age during hip-hop's golden age. Did that influence you at all? Oh, sure. But my family was so religious and so heavily into the church — everybody in my family are ministers, evangelists, whatever — I couldn't listen to hip-hop at home. Hip-hop was the rock 'n' roll of my generation, you know. Adults thought it was ridiculous, pointless, it didn't mean anything, but now, 30 years later, it's still here. What I liked about hip-hop was that, similar to the way rock 'n' roll and rhythm 'n' blues fed off gospel, hip-hop fed off earlier R&B and rock 'n' roll. Like when Run-DMC did "Walk This Way" with Aerosmith. Hip-hop took those older styles and added a different kind of artistry to it. You had real poets speaking their truths over this music, and that helped me to identify with other kids my age who may have lived on the West Coast but were going through the same things I was going through. Hip-hop also sampled a lot of the music that I loved: James Brown, Sly and the Family Stone. A lot of early hip-hop brought that older music to my generation. So my music kind of gets whatever edge it has from hip-hop. Sounds like where Anthony Hamilton was coming from on his early albums. Absolutely. And you know, the group he and I were in together, Unique By Design, was the very first group I was ever in. We spelled the name hip-hop style; I can't remember exactly how we spelled it — maybe "Da Zyne" or something — but it wasn't conventional. Your first LP is pretty straightforward R&B, and your new one is called Night and Day, which is the title of an old Cole Porter standard. Does that mean you're doing jazz standards on it? No, I named it Night and Day for the way I organized it. It's kind of a throwback to when you had two sides of a record — I have one side that's faster songs, which is the daytime songs, and the other side is slower, more nighttime-type music. So that's why I went with that title. You'll find something on it for every type of scenario you could encounter during the course of a day. What's different about this album as compared to your first one? I was terrified. [laughs] Being an artist makes you very vulnerable — we want to be liked, we want to be well-received — and a lot of times we'll compromise our gift because we just want to be popular. So the first time out, I didn't take many risks, vocally; I stayed kind of middle of the road. And some of the critiques of it were like, 'Oh, it's just a lighter version of Will Downing. It's easy listening. He doesn't take any risks.' Still, it was pretty well received and gained some traction. This time, I'm in a different place. I guess you grow as a person, and I felt freer, more relaxed. This album reflects more who I am as a person as opposed to who I want you to think I am. So in a way, the title is also a reference to this album in comparison to the first one — it's like night and day. Does that mean you let loose more on the new album? I do. I do. You know, I hate the sound of my own voice. I'm very critical of myself, so I have a tendency, I believe, to sing better live than on recordings. I started out in church and I get caught up in the emotion onstage, the energy of the crowd. I feed off of that and I have a tendency to be more in the moment onstage. When I record, I overthink things. I want it to be perfect and I'm never pleased or satisfied with the results. So this time, I tried not to overthink it. If it sounded good, I had to trust that it would sound good to everybody else. I would ask my wife if she liked it, and if she said, 'Honey, I love it,' I would trust that it sounded good. I just wasn't as afraid to be me this time. A good friend of mine, Eric "Ewill" Williams — Fantasia's musical director — told me, "You have to be comfortable with the fact that everybody might not like your music," and I said, "Well, that's hard." But I embraced that and it freed me. My music's not for everybody, but as long as I make it transparent and I'm genuine and I'm true to my own self, then whoever it's meant to connect with will connect with it. And that'll be my fan base. And I'm excited that they'll be getting to know me as a person and will be able to watch me grow as an artist. 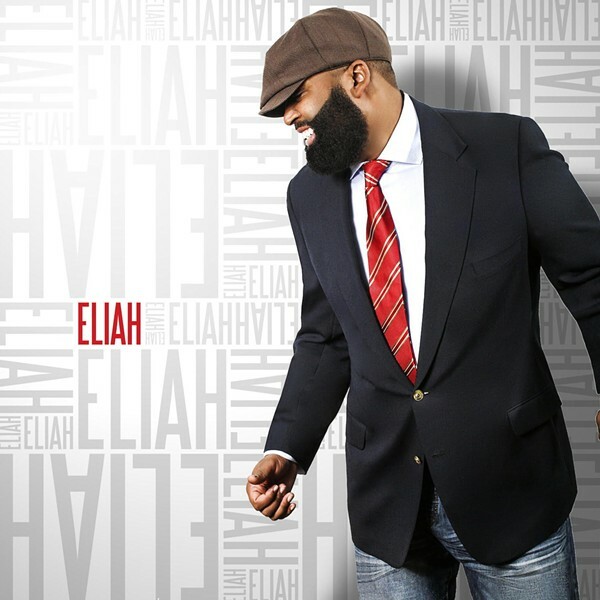 Watch Eliah perform at Duke Energy Theatre.